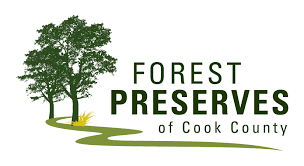 In this talk, Elsa Anderson, a Stewardship Program Aide with the Cook County Forest Preserves, took us through the history of the Forest Preserves, highlighting some of the natural treasures found in the preserves today, and providing insight on how to become involved and get active in our local preserves. Ms. Anderson is also a Ph.D. candidate in urban ecology at the University of Illinois at Chicago. She has been involved in Chicago-area ecological restoration efforts since 2011.